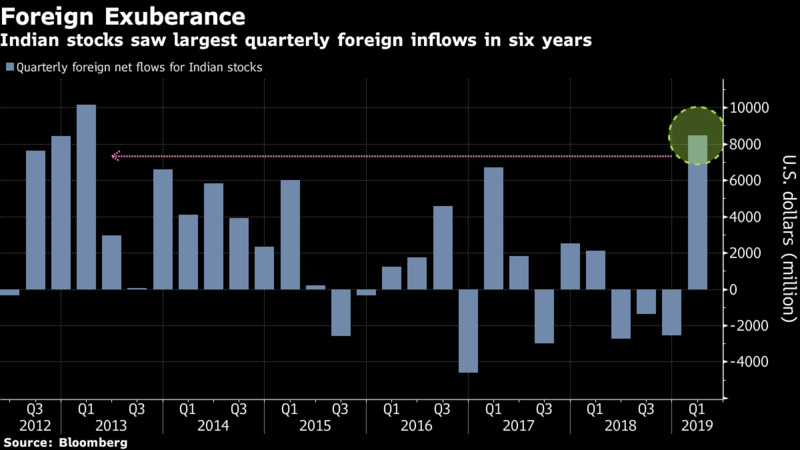 The biggest quarterly foreign inflow in six years. About $370 billion in value gained. 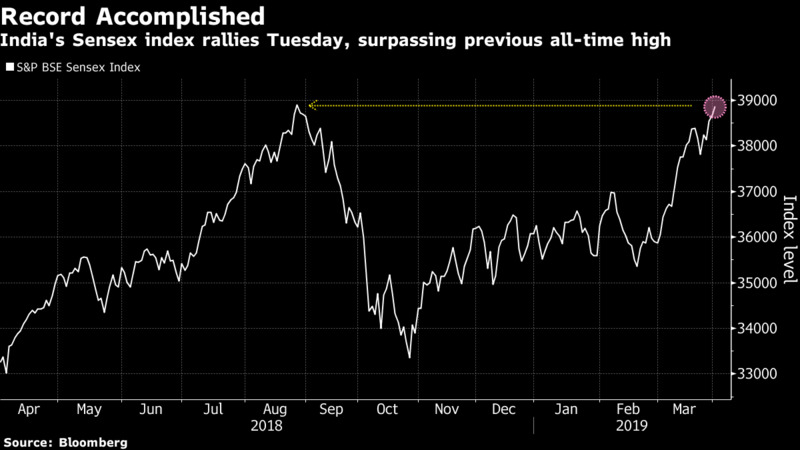 And now, India’s stock marketjust hit a record high — its first in seven months.